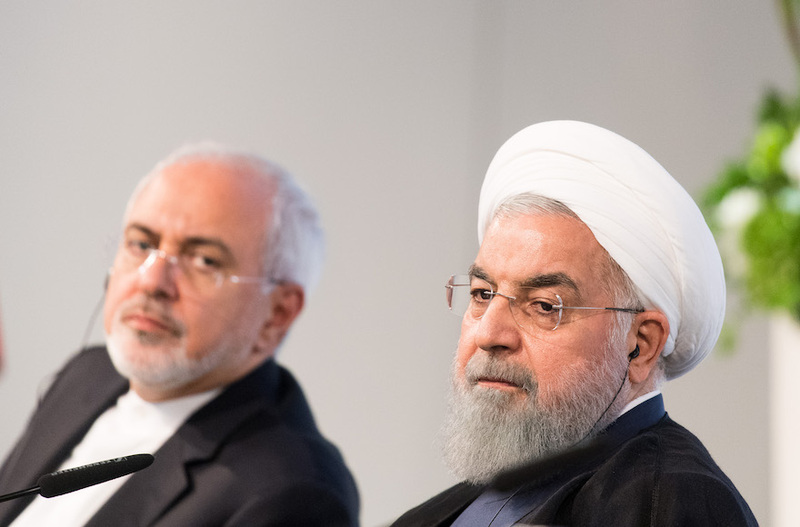 WASHINGTON (JTA) — In a late-night all-caps tweet, President Donald Trump warned Iranian president Hassan Rouhani of “consequences few have suffered” if he threatens the United States. Rouhani, a day earlier, had warned the Trump administration against continuing its intensifying hostility toward Iran. In May, Trump pulled out of the Iran nuclear deal and reimposed sanctions on Iran. Trump’s administration is now engaged in an effort to convince other nations to join in the renewed sanctions. Additionally, the United States has launched an information war against Iran, urging its citizens to rise up against the repressive regime. Secretary of State Mike Pompeo on Sunday evening addressed a crowd of Iranian Americans and said that the country is ruled by a corrupt elite that is oppressing and impoverishing ordinary Iranians. Iranian officials have said Iran may shut down the Strait of Hormuz, a key conduit for much of the world’s oil, should the U.S. continue its pressure. Israeli Prime Minister Benjamin Netanyahu praised Trump for his “strong stance” on Iran. Speaking at his weekly Cabinet meeting Monday, Netanyahu said that Trump and Secretary of State Mike Pompeo, who harshly criticized Iran’s leaders in a speech at the Ronald Reagan Presidential Library Sunday, were taking a clear position against “Iranian aggression” after years in which the “regime was pampered by world powers,” the Associated Press reported.